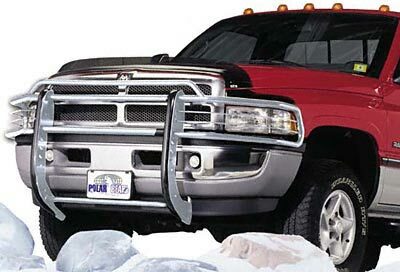 Polar Bear Grill Guards are made tough and rugged with quality in construction. With added design, this Grill Guard will enhance the front end of your vehicle with function and style. Features powder coated protective finish, black vinyl shielded center bars. Easy to install, no drilling required. Pre-punched holes for fog light mounting.